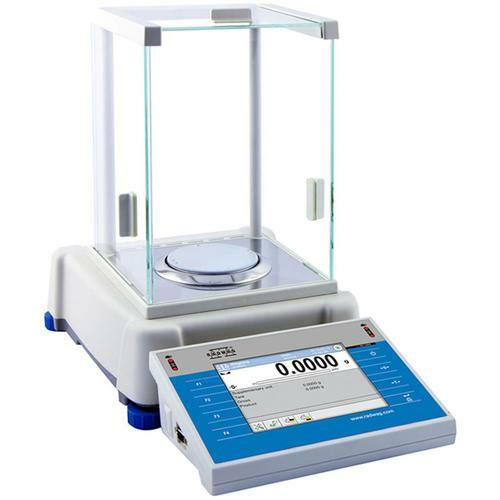 The AS 3Y Series Analytical Balance features a 5.7" color touch screen display – a modern interface for balance operation and measurement presentation. It enables highly developed customization along with user profiles. The AS 3Y Series includes an internal adjustment system using an internal mass standard. Its level is monitored by LevelSENSING system, a RADWAG patented solution including an electronic level. A new feature of the 3Y series includes on-line monitoring of ambient conditions using either internal sensors or the external THB 3 Series module. The AS 3Y Series features a large weighing chamber protected by an anti-draft shield from ambient conditions. The draft-shield also ensures cleanness and sterility of the weighing chamber interior. The interactive mode of the AS 3Y Series guarantees speed and reliability for formulations based on data acquired from balance databases. 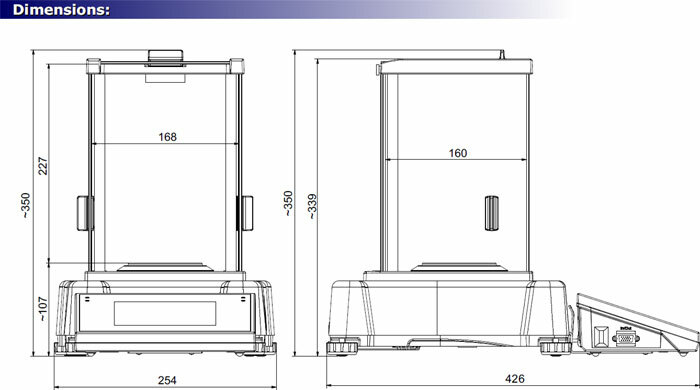 The differential weighing mode facilitates incremental counting processes. Extended databases enable a user to keep records of all acquired measurements; additionally, data export and printing are available. Due to standard and custom printout formats, a user can design and document practically any process in accordance with GLP/GMP requirements. The balance features an independent mass control mode carried out in cooperation with an automatic feeder (PA-02/H Series). Cable RS 232 (scale, Epson , Citizen printer) "P0151"